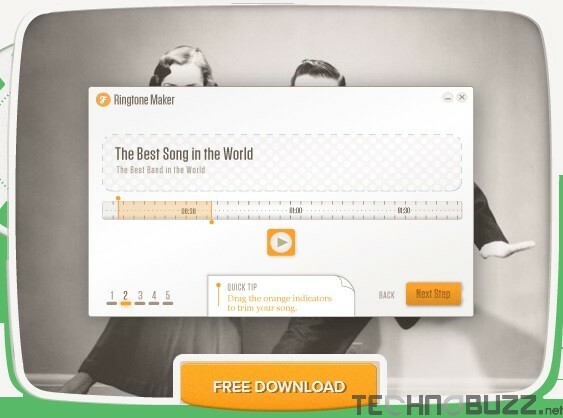 Want to create free ringtones for your iPhone, Android or windows mobile phone? Yes you can do this easily from you windows desktop, no need to download or purchase your favorite ringtones from other websites. 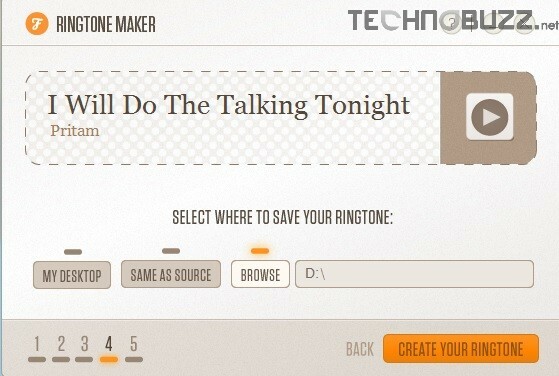 You cam make your own free ringtone within a few minutes. With the help of below guide you can turn any of your favorite song or music files in to ringtone and download it on your android, iPhone and windows phone. 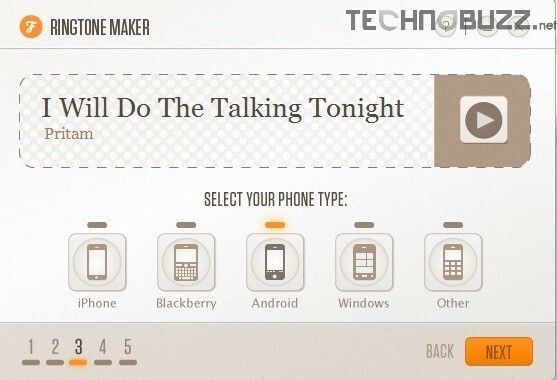 To do this all you need a small application Fried Cookie’s Ringtone Maker, it allows you to turn full-length song into a 30-second ringtone and works fine on all your iPhone, android and windows mobile devices. The process is so simple and take few minutes to convert any song into ringtone. Follow the instructions step by step on your windows desktop to create custom ringtones for any mobile device, yes any mobile device. Step 1. 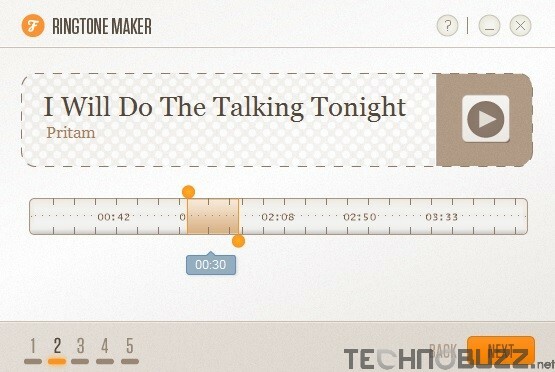 As we mention above to do this you need a windows application Fried Cookie’s Ringtone Maker. Download and install on your Windows PC, you can find the link of the application at the end of this post. The best part of this application is it easy to use and create ringtones for any mobile device without any problem. Step 2. Once the application is installed on your desktop, run it from the desktop and now just simply drag and drop your desired ringtone song or music file into the application window. Step 3. On the next screen of your application, you can see the slider. 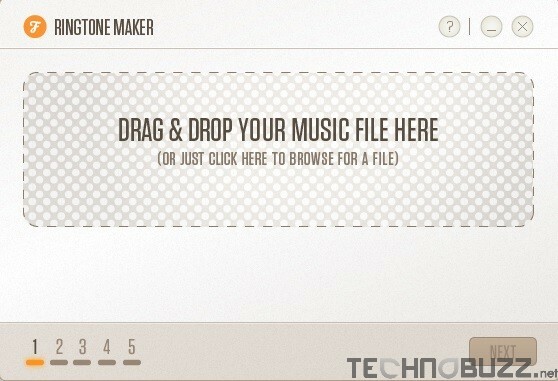 Move the the slider to select the part of the song you wish to create your custom ringtone. You can also listen the preview of selected part of the song by clicking on the play button from the application screen. Step 4. Remember you can create only 30 seconds ringtone, so select it carefully and hit the next button to create the ringtone of your mobile device. Step 5. Now from the next screen you have to select the phone type model for which you are creating the custom ringtones, Here you can see all the latest mobile platform such iPhone, Android, Windows Phone, Blackberry and others. Select the Phone icon from the list of device types and click NEXT. Step 6. Now you are on the last page of the application, here you have to select the destination where you want to save your ringtone,. You can save it on your desktop on any other folder. That’s it now your custom ringtone is saved on your windows pc. Now you can move your ringtone to your device, iPhone users can use iTunes application to transfer the ringtone and android users connect your device with PC via USB cable and transfer the files into the destination folder of your device. iPhone users can also create the free ringtones with the iTunes app, to do this read the complete tutorial how to create iPhone ringtone with iTunes. Hope you like the above guide to create free ringtones for your device, Looking for more how to tips and guide, click here!